If you’re anything like us, when you play, you play to win. In the research you’ve been doing into the wild world of management consulting, you should have noticed how important the case interview is on your road to a job offer. One thing you may not realize, however, is that you’re being scored from the moment you open your mouth. That’s right: the game begins from the first syllable, so we figured it would be good for you to know how to get as many points as possible and win your interviewer over. Now, before we get started here, it’s very important that we give this huge *DISCLAIMER* to explain where our information is coming from. The insights we’re giving are derived from our team’s exact experiences at Bain, McKinsey, and Deloitte but does not reflect an exact existing scoring system (we’re staying out of hot water here by keeping the exact firm secrets a secret). If you join any of the top firms and sit in the interviewer chair, however, this information will ring directionally true and will feel scarily familiar. Beyond our experience at the firms themselves, which we’ve incorporated into our MC-specific scoring guide, we do have 550+ case studies in our Case Bank from firms and consulting clubs across the country – and we’ve used these scoring charts on all of them. We have also built some of the best partner practice cases (16 in the Consulting Interview Bible) based on our jobs working as management consultants. From the years of experience we have in consulting – both training for interviews ourselves and training now thousands of candidates – we have created this system as a means of helping you uniquely target areas for improvement. Our scoring system is on a 5-point scale – 1 is painful and 5 is perfect. To help put you at ease, you should know that we have never had someone score 5s across the board on their first case with us…and we’ve done thousands of mock case interviews. If you’d like a detailed look at the grading criteria across each section, grab our book, The Consulting Interview Bible. In this article, we’re giving you 5 key notes about what the scoring system should reveal to you, along with some additional insight into each one. It is worth noting that this type of case scoring is usually reserved for first round interviews, because you’ll most likely be interviewed by junior staff members (up to manager level). By the time you get to the second round of interviews, you’ll be talking with senior managers or partners, who will often score the applicants with a basic 1 or 0, “yes” or “no” – they can’t be bothered to fill out extensive scoring charts. I know, we said this already, but it’s too important to just gloss over. Before you take time to build your structure, the interviewer already has a pretty strong impression on whether or not they think you’ll be a good fit for the firm. Everything you do is important. The way you recap the case, the way you ask questions (and how many, or how few you ask) and the way you ask for time to build your structure all contribute to the first impression. Each of these things is a determining factor in the mind of the assessor. Are you going to be a thumbs up or a thumbs down? You cannot score a 5 on any question without demonstrating confidence and enthusiasm in balance with good mechanics. If you get feedback about needing to be more structured, it’s often not just about the first part of the case. The thing about management consultants is that we don’t have a “work” mode and a “play” mode – we are who we are. To paraphrase Gertrude Stein, “A management consultant is a management consultant, is a management consultant.” Whichever way you cut us, we do things in a structured way. Your interviewer wants to see evidence that your life is held together by a strong desire for clear structure – and structure starts from the beginning of the case when you lay out your game plan, and is scored throughout – in math, in creative brainstorming, and even in your conclusion. Top candidates convey structure in every part of the problem, and without structure, you’ll demonstrate intuition but not preparedness and will max out at 2s or 3s. We wouldn’t be giving you the whole picture if we told you that just having a good structure would give you a 5 out of 5. The truth is, your clear and concise layout by itself may only get you a 3 out of 5. If you want to get a top score, you have to give the interviewer a little bit extra. It’s one thing to build a structure that can get you from A to B, but it’s another thing altogether to build a structure that can stand up strong in the face of conflicting data, conflicting client desires and intense scrutiny. The top scores (4s and 5s for us) are reserved for candidates who don’t just touch on high-level issues, but take a data-driven approach to solving the real, and often complex, business problem at hand without losing focus. Answering the question is, of course, really important in the case interview. But if you really want to set yourself apart, define and utilize a hypothesis. If you state your hypothesis and use it throughout your case, only good can come of it. If the hypothesis you provide on the first question ends up being the correct answer -congratulations, you’re officially a superhero. If the hypothesis you use isn’t the ultimate answer, but you use it to test your findings as you unpack the answer congratulations, you’re also a superhero. One thing to remember about hypotheses is that consultants use them in real life, so mastering this skill is one that will serve you well beyond your interview. You can test how good your hypothesis is by defining it at the end of your case opening and making sure each point in your structure is going to help you get to the answer. One important note here – a hypothesis is not just stated as “the answer is that input costs are rising.” That can be risky. For all cases that are yes and no (enter this market, buy this company), those kinds of hypotheses are fine. For others, however, move more toward explaining which areas you want to focus on instead of what you expect to find there. It conveys a focus on priorities without the risk of being terribly, horribly wrong. Again, the use of a consistent tested hypothesis takes you from at most a 3 to a 4 or 5 on each question – not just at the beginning. 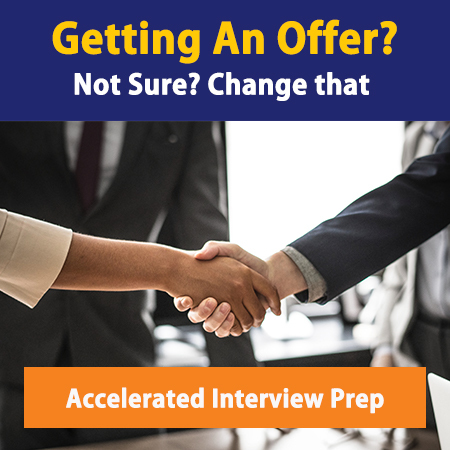 Whether it’s an interviewee or interviewer-led assessment, you’re in charge of keeping up the case momentum. To do this, summarize your findings at each step and lay out actionable items that would be reasonable to investigate next. If you don’t, you’ll max out at a 3 at most for each question. This is most important at the end of the case, because it shows you really understand the data you’ve reviewed in the context of the bigger picture. Getting to the end of your case and then suggesting more things that could be looked at is what any top tier consultant worth their paycheck would do (it’s how firms make more money over time, after all). This principle applies to the rest of the case too, but you would be missing a huge opportunity if you didn’t do so at the end. If you’d like to receive some further help from us to get you interview ready and take you to the top of the scoring chart, don’t hesitate – book an Interview Prep session with us here.